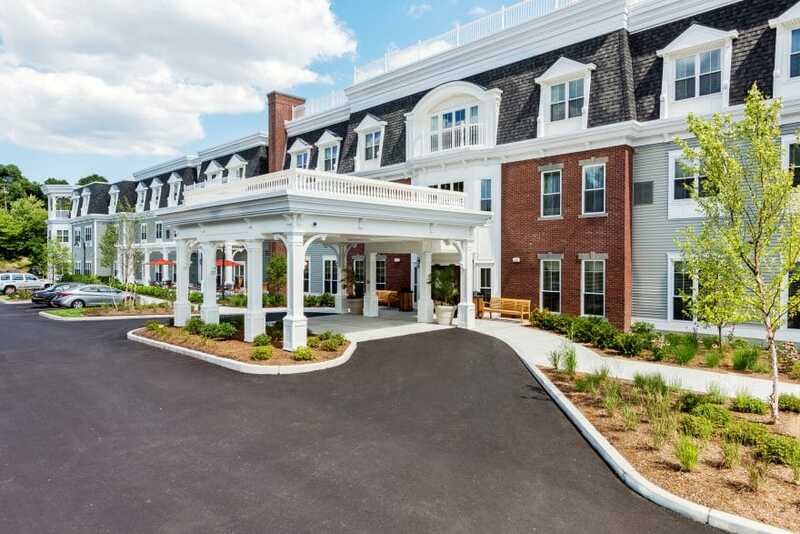 Standing on the manicured lawn of the Brightview senior living development in Canton, Massachusetts, it’s hard to imagine that just a few years ago, the same plot of land was a pit of sand and gravel. Today, a stately, three-story, 167,000-square-foot building stands there, surrounded by carefully landscaped grounds, courtyards and a quarter-mile walking path that loops through the surrounding wetlands and grasslands. It’s fair to say the former commercial gravel pit has come a long way, and Allen & Major Associates Inc. played a crucial role. 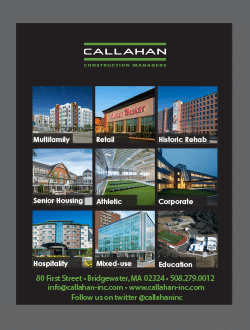 Headquartered in Woburn, Massachusetts, Allen & Major is a 50-person site development firm with offices in Massachusetts and New Hampshire. It specializes in preparing challenging parcels of land for construction, and its services include site design, civil and structural engineering, land surveying and landscape architecture. At its core, Allen & Major is committed to responsible design and sustainable practices. Minimizing environmental impacts is the goal on all of Allen & Major’s projects. When Allen & Major began master planning the Brightview development, the site was essentially an abandoned sand and gravel pit surrounded by a giant wetland ecosystem, says Anne Crooker, the firm’s marketing director. “There was an incredible amount of thought and innovative design that needed to go into that project to meet what the client was asking us to do—and yet meet what was the responsible thing to do environmentally,” she says. Allen & Major designed stormwater drainage systems that matched the site’s existing drainage characteristics. These small, shallow, densely vegetated bioretention swales, or cells, around the perimeter of the development, capture, treat and recharge stormwater runoff. They also create a natural buffer between the surrounding 22 acres of vegetated resources and the noise, lighting and other disturbances that would be associated with the new development—a consideration neighbors would appreciate. It created 13,000 square feet of wetlands and planted native grass in what had been piles of rubble left by the sand and gravel company. With the wetlands and grasslands, Allen & Major was able to create both a wildlife habitat and a walking loop. This grassland was an important part of the project permitting process and was well received by local conservation groups, as grassland habitat is increasingly rare in Massachusetts and New England as the woods reclaim pasture. “We have gotten a lot of feedback from residents, who have commented on how much they like the walking path. In fact, the views along the path are among the best on site,” a project manager from the development company told the New England Real Estate Journal. 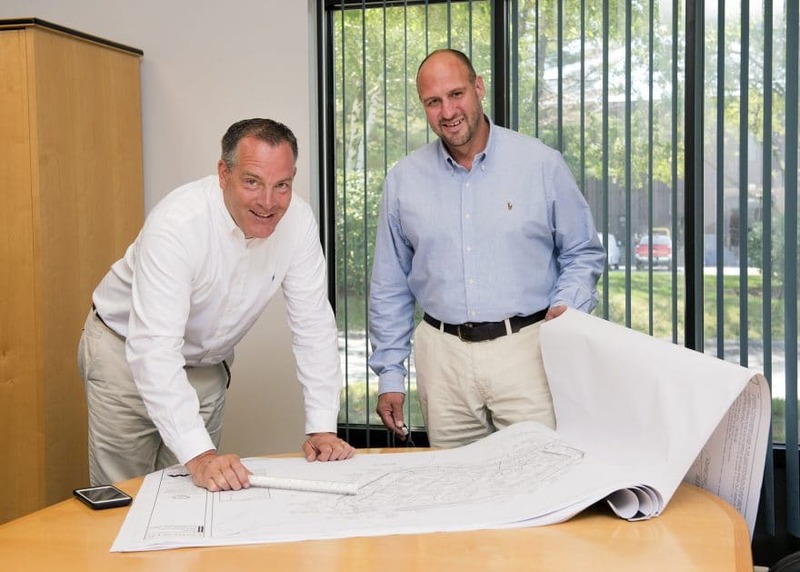 While the Brightview project in Canton was certainly a feather in the cap for Allen & Major—the firm received a bronze award from the American Council of Engineering Companies—it’s just one of many successes. 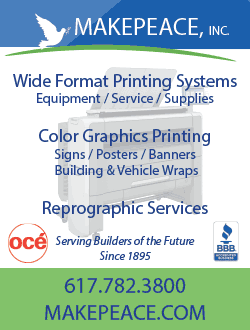 Initially founded in 1973, Allen & Major has been in the business for nearly 45 years. 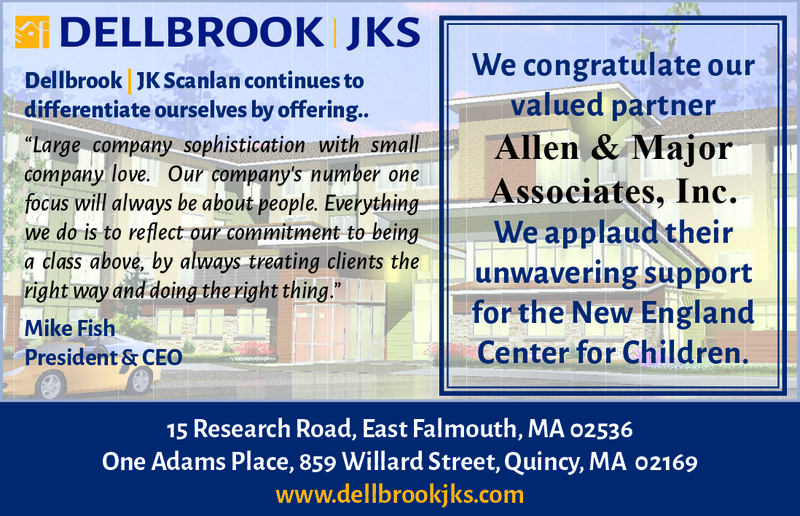 In 2016, Allen & Major transitioned to new ownership when long-time partners, Tim Williams, PE, and Robert Clarke, PLA, ASLA, took the helm. Now it’s tackling everything from the new MGM project in Springfield to residential land surveying. Because Allen & Major is a small firm, its senior-level staff members are closely involved in the firm’s projects. When a client calls, those senior-level staffers answer. “We don’t spend a lot of time pushing the project person to person, so the project gets completed on time and on budget,” Crooker says. While every site, and therefore every project, is unique, Allen & Major’s ultimate goal is to create viable, modern developments that not only serve, but contribute to the communities in which they are located. That approach is evident time and again. 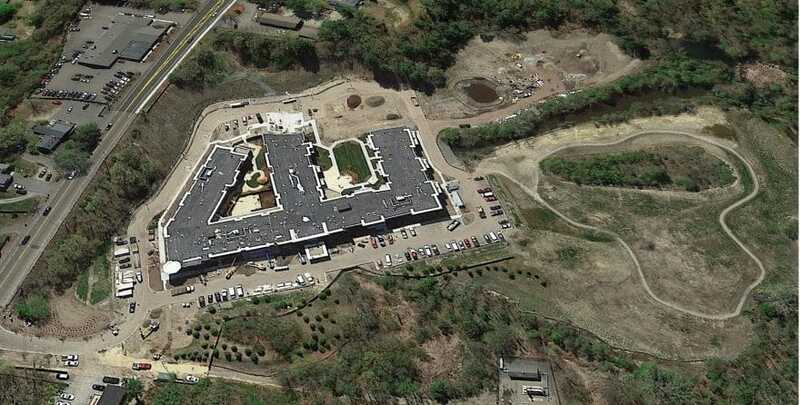 In Winchester, Massachusetts, for instance, Allen & Major’s site work allowed Winchester Hospital to build two new buildings on land previously used as a pseudo-industrial complex. The site, which sat adjacent to a river, housed a historic building and required brownfield remediation. The firm also created a healing garden that serves as a buffer between the building and the banks of the river. In addition to offering respite to patients, caregivers and staff, the garden helps catch and treat stormwater. Any stormwater that doesn’t make it to the garden filters is captured and contained in massive chambers that hold all of the stormwater on site, up to and including the 100-year storm event on site. Despite the firm’s tenure and success, it still has one unique challenge: getting people to understand what they’ll never see. That is, the planning and engineering that make construction possible and all of the below-ground systems. “The amount of effort that goes into a project before a shovel gets into the ground sometimes is staggering,” Crooker says. The behind the scenes work includes navigating regulations and permitting, environmental concerns and community needs. But there, Allen & Major is adept. “We’re building in the communities in which we live, so we take it as personally as anyone about what we’re building, how we’re building and making sure that we’re leaving the community in a better situation than when we started,” Crooker says. In Woburn, Massachusetts, Allen & Major is helping redevelop the former W.R. Grace site located at 369 Washington Street. The land has a notorious history, as it was one of the nexus sites involved in toxic waste trials in 1982 involving the relatives of sick children and W.R. Grace and another corporate property owner, Beatrice Foods. When complete, the W.R. Grace site will be home to a new hotel and restaurants, and though that site has an especially significant and troubled backstory, Allen & Major plans to approach it just like every other project.